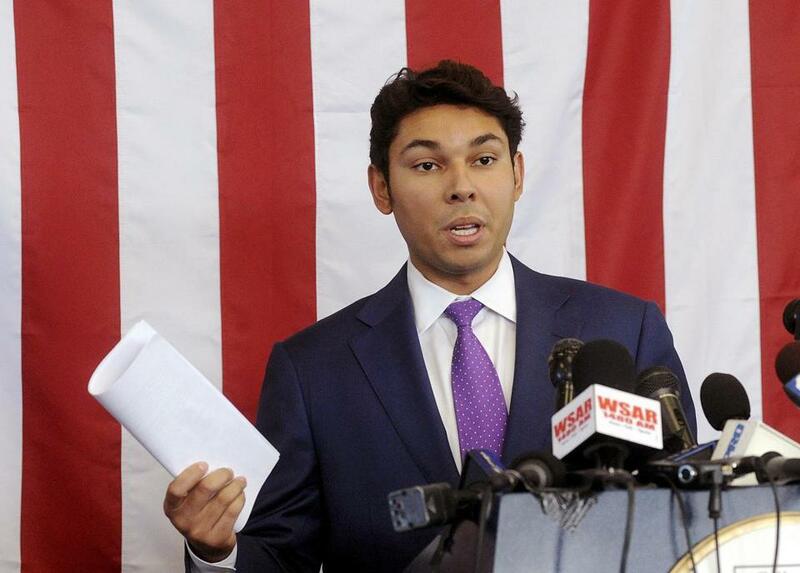 Mayor Jasiel Correia of Fall River. The federal magistrate judge handling the criminal case against Fall River Mayor Jasiel F. Correia II recused herself on Thursday. Magistrate Judge M. Page Kelley submitted a one-sentence order removing herself from the case. The order cites a law that requires judges to disqualify themselves in any proceeding in which their “impartiality might reasonably be questioned,” but Kelley didn’t specify a reason for her decision. She was scheduled to conduct an initial status conference in the case on Thursday, but the proceeding was canceled. The matter was rescheduled for Dec. 18, though the hearing could be called off if lawyers on both sides decide it’s not necessary, court records show. Correia’s defense attorney, Kevin Reddington, and a spokeswoman for the US attorney’s office in Massachusetts said they don’t know why Kelley took herself off the case. Kelley’s clerk didn’t return a message or e-mail on Thursday. The matter was reassigned to Magistrate Judge Donald L. Cabell. Correia, 26, was arrested in October on charges that he defrauded investors who backed his tech startup, SnoOwl, and then attempted to conceal the scheme by filing false tax returns. He is accused of spending more than $231,000 that investors gave him for SnoOwl on expensive travel, casinos, adult entertainment, and a luxury car. Correia, a Democrat, has pleaded not guilty and has refused calls for him to relinquish power while his criminal case is pending. He was elected in 2015 and is in the first year of his second two-year term. A group known as Fall River Recall last month submitted a petition with 5,845 signatures that seeks to recall Correia. The organization needs 2,510 signatures certified for the recall to proceed. Fall River’s Board of Election Commissioners is reviewing the signatures. Correia has said he plans to run in a recall election should it come to fruition. Since his arrest, Correia has insisted that the criminal case isn’t interfering with his ability to govern and has portrayed the allegations as a business dispute that unfolded before he became mayor. In November, the City Council overwhelmingly approved a no-confidence vote in Correia and requested his resignation. A third measure that would have removed him from office while his federal criminal case was pending failed by a vote of 5 to 4.
can be reached at laura.crimaldi@globe.com. Follow her on Twitter @lauracrimaldi.